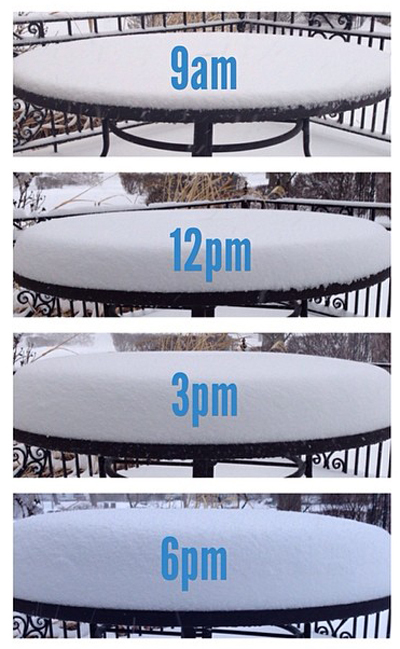 Today was a snow day with the Vulcan snow storm hovering over Rochester. We were supposed to get 18 to 24 inches today. 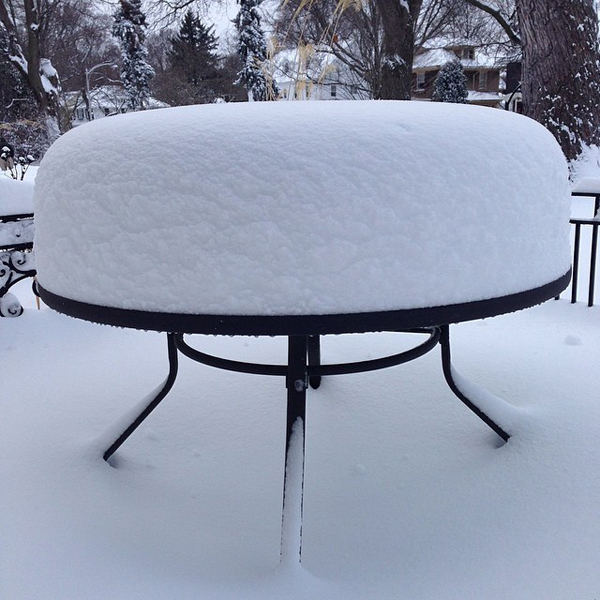 I took pictures of the snow muffin on the patio table growing throughout the day. It didn't seem like we got that much snow but several people noted that it was blowing around a lot. UPDATE - we got a lot more snow overnight and by Thursday morning we had a pretty nice snow muffin formed!